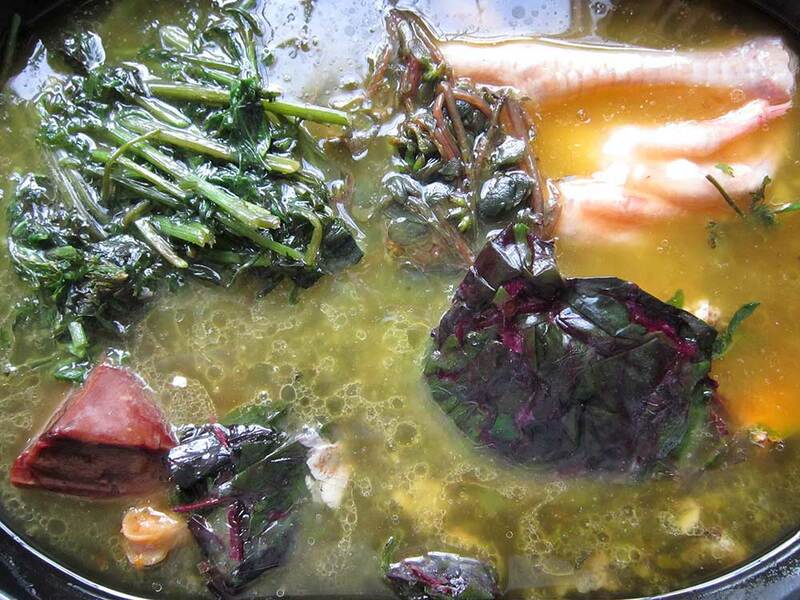 Our grandmothers knew the healing power of broth. When a child was sick in their homes, the chicken soup went right into the pot to be heated and served. 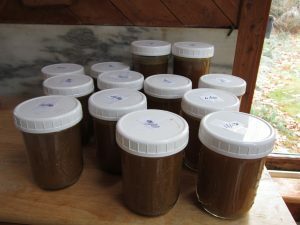 Lately, there is quite a buzz about this ancient nourishment from Sally Fallon Morell and Kaayla Daniel’s entire book on “Nourishing Broth” to the opening of brotheries in major cities countrywide. I personally made a startling discovery over thirty years ago. I can’t remember the exact incident that caused the awareness, but I recognized that if my husband, Bob, and I have at least two servings of my home made broth a week, we have no problems with our joints. When I forget to eat it, my knees kill me. Another testament to the power of broth came about two years ago. One night Bob sleepwalked off of our loft. He woke up on the way down so he knew that he was falling. He fell an entire story. And he broke nothing. He was 68 at the time. I put every nutritious thing that I can get my hands on into my bone broth soup. Vitamins and minerals are water or fat-soluble which means that they travel from the solid pieces in the pot into the actual soup. 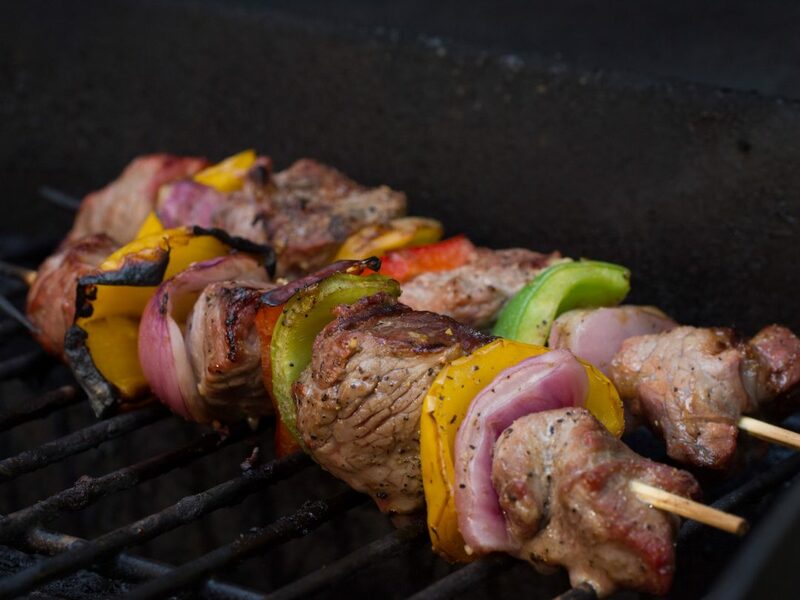 The bones which should be from pastured animals can be beef, chicken, turkey, lamb, bison or combinations of any number. As the highest amount of gelatin in chickens and turkeys are found in their feet, I always add four or five of these. An onion and a few beets and carrots are then added along with a chicken liver and a small portion of beef liver. Next come the leafy greens; Swiss chard, spinach, radicchio, beet greens, carrot tops, kale, seaweed, dandelion leaves and *purslane are my favorites. Any high quality, organic greens will do so add what you can find out in your garden, at the farm stand or, in the winter, what you have managed to put in the freezer during the summer. A dash of white wine or vinegar to help draw the goodies out of bones rounds out the recipe. *purslane is a weed that is probably the most nutritious thing growing in the garden. It has seven times more beta-carotene than carrots as well as fourteen times more omega 3s and six times more vitamin E than spinach. Put all of the ingredients in a large soup pot or crock pot. Add good, clean, cold water that doesn’t have any fluoride or chlorine in it. Bring the mixture to a slow boil—not a rolling boil. The idea is to gently bring out the goodness of the superior ingredients. Skim off any of the foam that comes to the top; this generally contains any impurities and will be very little when using grass-fed, pastured meat and organic vegetables. Maintain the low boil, stirring and adding additional water as necessary periodically. Cook for about 48 hours. When the cooking is done, it is time to strain out the solid ingredients. Put a colander in a large bowl on a trivet. It’s often easier to use a pair of tongs to remove most of the solid pieces before trying to pour the rest through. Remove the contents of the colander and let the soup cool. Add a little salt; perhaps a teaspoon or two. Stirring often helps it to cool. After an hour or two, it’s time to put the soup in the freezer (if it’s still quite hot, wait a while or put it in the refrigerator first). Using “Can or Freeze” pints and a stainless steel funnel, ladle the soup through a strainer into the jars. Wipe down any spills on the outsides of the glass. Label and date the lids, secure on the jars and into the freezer they go. I have given an exact recipe here because people often like to have one to follow. However, this soup can be made with or without most of the particulars. If you don’t have any beets or carrots, no problem! If you want to throw in some leftover broccoli, peas, celery, beans, sweet potato, winter squash or pumpkin, go for it! Think nutrients. The idea is to create a nutrient-dense food that will provide the cells of our bodies with the building blocks that they need to repair and replicate themselves. Bon Appétit! Also—one word of caution. Some people with digestive problems have difficulty with bone broth soup. If this is true for you, make a two-hour bone stock instead.